Dr. Bergsma recently corresponded with Carl E. Olson, Editor of CWR, about the book. CWR: How did the idea for this ambitious project come about? How long did it take to research, write, edit, and produce? John S. Bergsma: Dr. Pitre and I were at a Society of Biblical Literature annual convention in 2009 or 2010, if memory serves, and we were discussing the need for an Introduction to the Old Testament [OT] for Catholic seminarians and graduate students that was on par with the Introductions available for Protestants. Protestant seminarians get thorough, hefty volumes that cover every book of the OT, whereas Catholic seminarians are often given trade-paperbacks on the OT that give a cursory overview. We committed to co-writing such a volume, and over the next two years tried to get funding for each of us to have a sabbatical to work on the project. The funding eventually came through from the publisher, a foundation, and our own institutions, and I wrote the first draft of the volume largely during my sabbatical in 2012. In summer 2013 I handed it off to Dr. Pitre, he added the patristic interpretation components to each chapter and made other revisions and improvements, and then we submitted it to Ignatius Press, I believe, in early 2014. Ignatius was not able to get to it until 2016, at which point we began an almost two-year process of editing and type-setting. Finally, in May 2018 the book began rolling off the press. CWR: The book opens with the vision you have for it, starting with “what might be called an ‘ecclesial’ method of biblical exegesis.” What are some key aspects of that method, especially compared to the “supposed ‘objectivity’ of a critical method”? And how is that part of an integrated approach to Scripture? Bergsma: The Bible is literally the liturgical book of the Catholic Church. 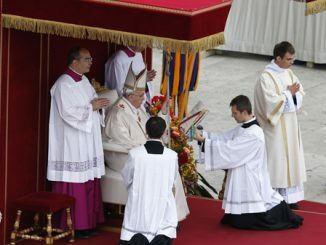 It doesn’t make it any sense to interpret and understand it apart from the body that produced it and the rituals for which it was intended to be read, namely the sacramental celebrations of the Catholic Church. Modern “critical” methods, as Benedict XVI pointed out, are remarkably uncritical about their own methods and presumptions. They have their own ideologies, which are all the more pernicious because not all of the practitioners of the methods are aware of their foundational ideologies. We wanted to write an Introduction that presupposed the truth of the Catholic Faith from the outset, and would explore where that would lead in interpretation. Vatican II specified three principles for the interpretation of Scripture: (1) to keep in mind the content and unity of Scripture, (2) to recall the Living Tradition of the Church, and (3) to respect the analogy of faith, that is, the harmony of the truths of the faith one with another. We tried to implement that approach consistently. CWR: Why is reading and studying the Old Testament so important to Christians today? How does your book help readers better understand the Old Testament in light of Jesus Christ and his Church? Bergsma: We are undergoing a kind of neo-pagan Gnosticism right now, where the goodness and stability of the creation and the natures of people and things are denied. One expression of this is the movement that claims you can change your gender just by self-identification. One’s personhood then gets separated from one’s embodied nature, and in fact one’s body can be viewed as bad and in need of mutilation. Whenever the Church has given up on the Old Testament in history, she makes it easier for Gnostic heresies to grow, that deny the doctrine of Creation, the goodness of the physical world, the existence of stable natures, etc. Similar to the way that grace works on nature, the New Testament elevates the Old, but if you dismiss the Old, you have nothing to elevate. You can’t even understand Jesus, who presents himself as a New Adam, come to fulfill the promises God swore to Abraham and David. That’s how Matthew 1 introduces him. How can a person understand what that means if they don’t know anything about Adam, Abraham, or David, or don’t believe those men ever lived? You need to know and believe the Old Testament to understand Jesus. Jesus himself said, “They have Moses and the Prophets. If they do not listen to Moses and the Prophets, neither will they listen if someone rises from the dead.” (Luke 16:31) And also “If you believed Moses, you would believe me, for he wrote of me. But if you do not believe his writings, how will you believe my words?” (John 5:46-47). Those were the verses that persuaded me to become an Old Testament scholar. CWR: You note that many people don’t stop to consider why certain books are in the Bible and how they came to be included in the canon, and so you spend some space discussing how the Old Testament was formed. What are some of important features of the process of the formation of the Old Testament canon? How did Protestants end up with less books in their Old Testament? Bergsma: It amazes me how even scholars ignore documented history when it comes to talking about the canon. The exact boundaries of the canon was not a pressing issue in the earliest centuries of the Church’s life. The Church used the collection of Scriptures that had been translated into Greek—the Septuagint tradition—as her Bible, together with the writings of the Apostles and the apostolic men (e.g. Luke & Mark). A few early councils gave partial lists of canonical books. However, after Christianity was legalized in the 300’s AD, it became possible to call more councils and to settle issues that had been on the back burner for centuries. One of these was the exact boundaries of the canon, because there was doubt about some books. Beginning with the Council of Rome in 382 under Pope Damasus, we get a series of councils that all affirm the same canon, the canon we know today within the Catholic Church. St. Augustine describes how they knew what was canonical: they embraced the books that had been accepted by the oldest and the largest number of churches. And a book being “received” or “accepted” meant practically that it was read as the Word of God in worship. So the early Church based the canon on liturgical tradition that had been passed down from the apostles. CWR: What is the “historical-critical method” and what sort of influence has it had on modern Scripture scholarship? What is a Catholic to make of, say, “redaction criticism” and “form criticism”? Bergsma: The “historical-critical method” is an interesting phenomenon, because in many ways it is neither historical nor critical. It is not historical in that it does not aim to reconstruct history per se as a historian would, but to reconstruct the history of the composition of the text. Secondly, it is not “critical” in the sense that it is not self-critical, and will exercise great suspicion toward the text under analysis, but uncritically accept all sorts of philosophical presuppositions as well has complicated and tenuous scenarios about multiple authors and editors, their time periods and their intentions. In natural sciences, one must have a “control set”, and ideally at least two methodologies of analysis that will enable cross-checking to ensure that your methodologies are working. So, in archeology, scholars use both carbon dating and dendrochronology (tree rings) to date ancient habitation layers, and the carbon dating is often corrected by dendrochronology. In historical-critical biblical scholarship, it is seldom if ever the case that there is a “control set” or a second methodology that can confirm that the first method is anything other than noise. As a result, any honest scholar, even the most secular, must admit that the vast majority of historical-critical scholarship has been wrong or at least inaccurate, because current consensus historical-critical views contradict almost all the positions older than say ten to twenty years ago. The “historical-critical method” is also not just one method. It’s a set of four methods that are joined together for historical and sociological reasons rather than an innate internal logic. The four sub-methods are usually listed as text criticism, source criticism, form criticism, and redaction criticism. Text criticism is the attempt to reconstruct the best form of the text by recognizing and correcting scribal errors in our extant manuscripts of the biblical books. It is non-controversial and was practiced already by the fathers, Origen being the best example. Source criticism is the attempt to identify, delimit, date, and describe the sources of a given biblical book, which is a very subjective endeavor, and the results vary wildly from scholar to scholar and school to school. It is obviously not an objective science, because one can observe characteristic differences in the positions taken by scholars in different parts of the world. For example, different source-critical results are taken as self-evident among European scholars, a different set by scholars in Israel, and the consensus among American scholars is different yet again. So obviously cultural “group think” plays a role in what seems obvious to various source-critics. Form criticism is the attempt to find the genre of a given textual unit, and then imagine how that genre of literature functioned in ancient society. It works best for certain books like the psalms, where we have many examples of discrete units that can be classified by genre. But applied to most biblical books, it dissipates into wild speculation and yields almost no verifiable insights into the meaning of the text. Redaction criticism is the study of how a text has been “redacted”, which means “edited”. In itself it can be a responsible exercise, because every piece of literature has been put into a final, written form by someone, and there are reliable clues—like examining carefully the introduction and the conclusion of the work—to determining the intentions of the final editor. However, in the hands of ideologues, redaction criticism also can devolve into an unrestrained exercise in which the scholar arbitrarily dismisses this that or the other part of a document as nothing but the work of a ill-intentioned or untrustworthy editor. The historical-critical method hasn’t had an influence on modern Biblical scholarship. It is modern biblical scholarship! When post-modernity set in in the 1990’s, we began to see other forms of criticism develop, like canonical, narrative, and rhetorical criticism. These forms of criticism examine the text as we have received it, and try to understand the text we have rather than reconstruct the history of its composition. That has been a breath of fresh air, but at many institutions and in many parts of the world, especially Europe, the older historical-critical approach, in ever more unhinged forms, predominates. CWR: Why is the Pentateuch so key to studying and understanding both the rest of the Old Testament and the New Testament? Bergsma: The Pentateuchal books are the “Gospels” of the Old Testament. They are foundational for the rest of the body of literature, and most other OT books refer or allude back to them or their contents, and build on their theology and worldview. The Pentateuch is also called “The Books of Moses”, because Moses is the traditional author of them, at least their substance if not their final form. The importance of Moses’ teaching in the Pentateuch is emphasized by Jesus: “If you believed Moses, you would believe me, for he wrote of me. But if you do not believe his writings, how will you believe my words?” (John 5:46-47). That is as true today as it was in the lifetime of Our Lord. When Moses is dismissed, it is not long before people no longer believe in Jesus either. CWR: There are numerous debates about the historicity of many events and persons found in the Old Testament. In general, how do you seek to address some of those often complicated debates and questions? Bergsma: One has to approach the Scriptures with a hermeneutic of faith. The secular sceptic may refuse to believe anything in the OT that cannot be independently verified, but that attitude is inappropriate for a disciple of Jesus Christ. Jesus Christ reverenced the Scriptures of Israel and trusted them, taking them at their word. So we approach the Old Testament books with an attitude of trust and a presumption of the truthfulness and honesty of their authors. At the same time, we have a lot of scientific, historical, linguistic, and archeological data, and sometimes the fit between what we think are the claims of the biblical text and what we think we know about archeology, linguistics, etc., is not exact or seems to contradict. In those cases, we trust that more study will ultimately resolve the issue, because God is truthful, and the same God inspired the text and governs the physical universe and human history. So in the textbook we are honest when there are problems or discrepancies between the claims of the text and what we think we know from external sources, yet we try to provide various possible explanations for the reader. We can’t resolve all issues: no one can. Augustine remarks on the same problem in his own day. One thing we do not do is come to the conclusion that the Biblical text is just wrong and can safely be dismissed. CWR: You note that the book of Psalms “is a book unlike any other”. Why are the Psalms unique, not only in biblical literature but in ancient literature as a whole? Bergsma: The Psalms are a sacred song book that reveals a remarkably intimate relationship between the ancient Israelite worshiper—typically David, but others as well—and God himself. While we have many examples of sacred songs from other cultures, we have few if any great collections that might be called song books, and none whose poetry and depth compare well with the Psalms as a whole. The Psalter is a summary of the whole Old Testament—the essential teachings and events of the Old Testament are all mentioned somewhere in the Psalms, from creation to the exodus to the kingdom of David, its collapse, the exile, and the return. So if you had to take one OT book to a desert island, it would be the Psalms. 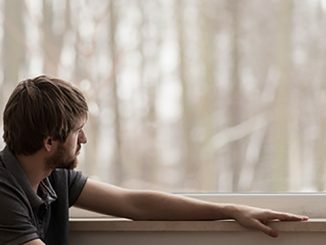 The Psalms also have something to say to us when we are in every different mood and every different situation in life—depressed, happy, in love, discouraged, confused, angry—whatever our mood or situation, there is a psalm that speaks to it. So God’s people have always found great consolation from meditating on the Psalms, as well as singing, chanting, praying, and memorizing them. CWR: What Old Testament books are most often overlooked? And why should they be better known? Bergsma: Many are overlooked. 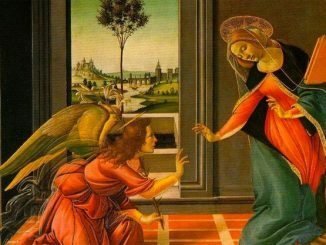 The Song of Songs comes to mind—it is so profound and has so much to teach us about the unitive way and the prayer of union, but it is neglected in modern study and never read in the lectionary except on two relatively minor days of the calendar. 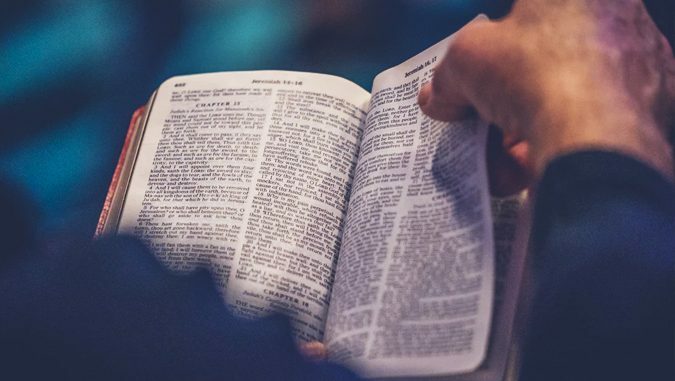 Leviticus and Numbers also contain some important teachings that undergird the teaching of Our Lord and are referred to in the New Testament, yet these books are also scarcely read in the Lectionary. CWR: Any other thoughts about the book and what you’ve sought to accomplish with it? 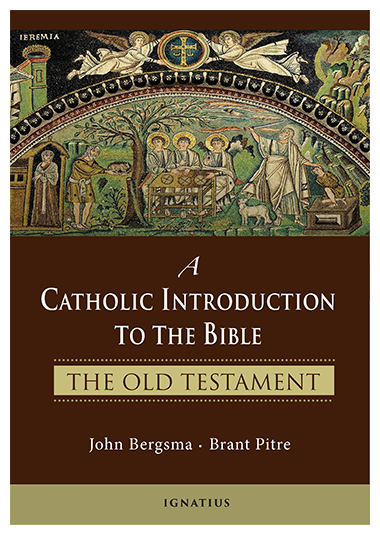 Bergsma: This book was a labor of love, and we worked over every book of the OT canon with affection, like a jeweler working on a piece of jewelry and hating to finish because he has come to love its beauty. Every book of the OT canon has its own distinct beauty, form, and message, and I hope this Introduction helps people not only to understand the OT books but to cherish them. I am about 125 pages into A Catholic Introduction to the Bible: The Old Testament. It is wonderful. Pitre’s CD set, Jesus of Nazareth: A Biblical Christology is a real eye-opener, too. I am getting the book…and the CD set. By the way: it is important to note that the “wayward” Cardinal Kasper, a main leader of German Bishops Conference and “the disappearing Church in Germany” has since 1976 (based on what he calls “form criticism”) published his book “Jesus the Christ” where he denies the miracle accounts of Jesus (pp 90-91 of 1976 edition), calling them “legends.” (And later in the book pp 139-140 denying that Jesus’ resurrection was bodily). I received this book as a Christmas gift and am loving it. I want to thank Dr. Bergsma and Dr. Pitre for bringing their faith into their scholarship and thereby giving all of us an inspiring, thrilling and deeply satisfying examination of Sacred Scripture. I wonder how many proud possessors of $100,000 degrees in religious studies have a sophisticated understanding of the limitations of the methods of modern biblical scholarship. Would be nice if the cost was 19.95. This is way to costly. It’s an 1100 page book, hardcover, with a high quality dust jacket and numerous images, etc. It’s actually a very fair price point. I’ve seen many, many far shorter books, of lesser quality, cost more. Appreciate highlighting the availability of the book. Beyond Genesis and Exodus my knowledge of the Old Testament is unfortunately very weak. So looking forward to buying it. The price seems very reasonable, especially for the high quality content that was discussed. Considering its length and need to study and read it carefully, it will likely be a year project to read completely. The current online sale price of $42.46 and the page count of 1060 give us 4,246 pennies/1060 pages = 4.0056603 pennies per page. To look at it another way, most of us probably have quite a few ideas in our heads about the Old Testament that are simply false, or at least debatable. I figure that on a cost per error correction basis, the book will prove to be a bargain. And if you have Amazon Prime, it is currently $39.70 total. In comparison, the book Hugs from Obama: A Photographic Look Back at the Warmth and Wisdom of President Barack Obama (2018), is 128 pages and costs $13.99. That works out to 10.9296875 pennies per page. If that book were 1060 pages, it would cost $115.85. Granted, you can’t put a price on hugs, but there are limits. Well, considering these are both reference works, I think they’re priced pretty reasonably. I have read this book. It has many merits. It is written with great clarity. It is easy to read and to follow the exposition, and while scholarly, it avoids excessive academic analysis which might put some readers off. It is comprehensive, well researched and succeeds in its aim at showing how the Old Testament can only be understood in the light of the New Testament and of the whole of Catholic belief and practice. What a great achievement! You know that you are reading the truth. It is cheap at the price – but it is really priceless! I understand that the authors are working on a similar volume about the New Testament – it is some time away but I will get it as soon as it is available. Drs. Bergsma and Pitre are literal god-sends in this day and age. We finally have orthodox Catholic biblical scholars working again. God Bless our Protestant brethren who filled in the gaps over the years and actually defended the historicity of scripture, the accuracy of tradition, the power of the prophets, and the miracles of our Lord. I was lucky enough to pre-order this book at a price of $34 and it was well worth it. Great comment. 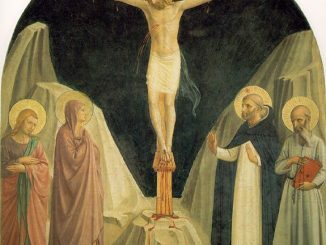 Protestant “fundamentalists” — the “F” word to many Catholic Scripture scholars these days — have actually remained closer to the dogmatic teaching of Trent and Vatican I that Scripture cannot be interpreted contrary to the unanimous agreement of the Church Fathers, than many of those Catholic scholars who dread being called the “F” word. The Protestant fundamentalists have a journey to make to return to the orthodoxy of the Fathers to be sure, but not as long a journey as faithless Catholic Scripture scholars have to make. Pitre and Bergsma, and others, are showing them the way back.